Jason Hart, CTO, Data Protection, Gemalto, discusses why security and confidence must go hand in hand. In any industry, confidence is a key trait for a business to be successful.The company itself must understand its operations and ability to deliver what customers want, who in turn must trust the company they’re buying from. If either of these traits are broken, it can spell serious trouble. This is why recent results from Gemalto’s Data Security Confidence Index are troubling and a cause for concern. Let me explain. As the business world becomes increasingly more competitive, data is emerging as the new differentiator that can set a company apart from its rivals. Having that insight into customer buying habits, product usage and general behaviour can be vital to shaping future business strategies. So, it’s worrying to find out two in three (65%) companies don’t have the resources to analyse the data they have. 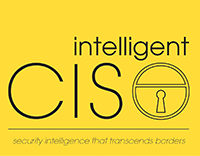 This entry was posted in Articles and tagged confidence, Intelligent CISO, security strategy. Bookmark the permalink.